The guard statement is a Swift language feature introduced as part of Swift 2. A guard statement contains a Boolean expression which must evaluate to true in order for the code located after the guard statement to be executed. The guard statement must include an else clause to be executed in the event that the expression evaluates to false. The code in the else clause must contain a statement to exit the current code flow (i.e. a return, break, continue or throw statement). Alternatively the else block may call any other function or method that does not itself return. *This occupies the complete method and to do the check and process. 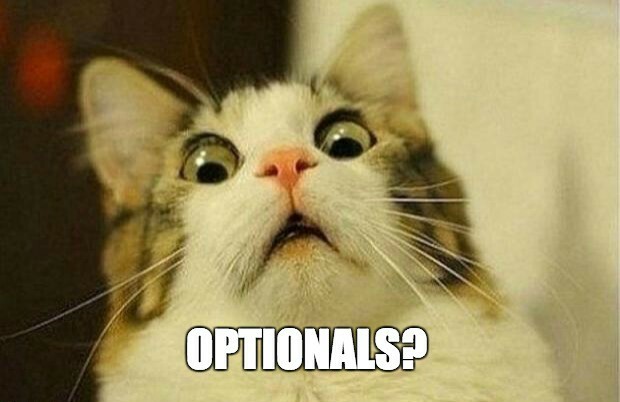 What is optional? When declaring variables in Swift, they are designated as non-optional by default. In other words, you have to assign a non-nil value to the variable. If you try to set a nil value to a non-optional, the compiler will say, “hey you can’t set a nil value!”. 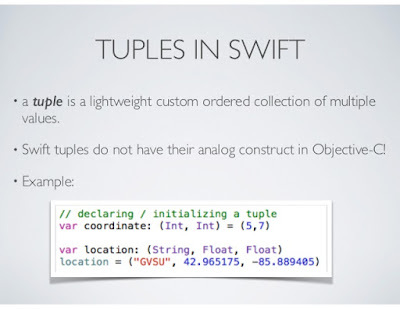 Optionals are a powerful feature in Swift language which come to solve the problem of non-existing values. Coming from Java and being passed through the hell of NPEs (Null Pointer Exception), I’m truly excited with this feature of Swift. We use this way in order to get the value of age we put an exclamation mark at the end of the variable. This option is not a safe one because if age were a nil, it would crash the app, so we need to use a safest way to unwrap the optional Int value. So this is the safest and preferred way to unwrap an optional, we say if age variable really contains a Int value meaning it is not a nil value then unwrap and assign it to myAge variable and that by the way myAge variable will hold an Int type and not an Int? type thus we can use it as it were a normal variable. But if age contains a nil value then the execution flow won’t get to the if body which is great since we wouldn’t want to use nil. It is rare to use this way of unwrapping an optional but it is good to know when you encounter some code using it so it is simply putting the exclamation mark at the end of the type declaration, and then whenever we try to get the value of age, Swift will automatically will unwrap the optional for us giving us the value. print("The result is \(result)") // prints "The result is 0"
This could be reduced to a one line by using a ternary operator (the “?” below represents the ternary operator). Nil coalescing allows us to shorten this even more, this just means (??) “If optionalInt is nil then use zero, otherwise use its unwrapped value”. Tuples can also be useful as a return type for a function to return multiple values as part of a single compound value. Continuing with our code example, let's build out the function that's responsible for returning this tuple.